We have often talked about protecting yourself from the sun during sunny days. We have talked about protecting your body from rain, and we have even talked about protecting your hands from blister or grip-slips by wearing non-slip gloves. Well, we are eager to share with our audience a topic that we have not covered yet, designed to help individuals protect one of the most important items when it comes to golf gear. It is safe to say that golf equipment can be one of the costliest products to buy in the golf community. Especially, if you are a seasoned golfer opting in for a brand that is known for premium quality and performance. With that, clubs can be frankly, some of the costliest items to consider. For example, there are clubs that can range to upwards of thousands of dollars for a simple club. With that, during transit, it is important to consider properly packing, storing, and transporting your clubs, to avoid wear and tear and scratches in the case they make contact with other clubs inside the golf bag. With this in mind, we recommend protecting your clubs with a quality headcover. 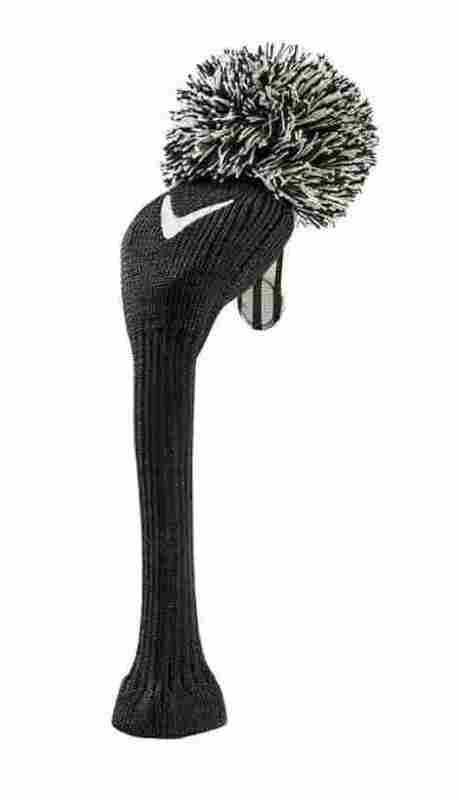 A headcover is a specific sock-like item that you place over the head of a club, often covering shaft, that is designed to protect and cushion the head of the club from any wear and tear during transit. With that, we want to share with our audience a specific brand that is often known for their expertise and quality designed. 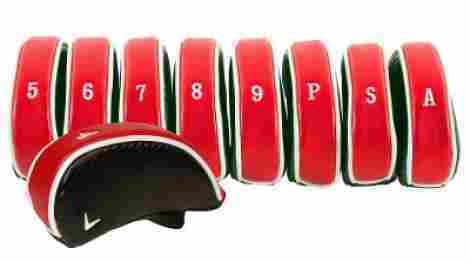 We want to talk about the Best Callaway Headcovers and ten of the best covers to consider. Let’s begin! As the first headcover on our list from this brand, we want to share a five-star product that excels in product quality, design, and overall aesthetic. If you want a unique cover for your club that is designed to be traditional and fun, this is the product for you. Here are two features to consider of the Callaway Pom Pom 3 Wood Headcover. This product comes in many different styles and color choices. First, it is a fluffy pom design at the head with a very traditional plaid color choice. There are three color choices to choose from and individuals can actually pick between having this item as a driver cover, wood cover, or hybrid. Overall, the design is suitable for various different clubs. As we would expect from a brand such as this, this item is made of the highest quality materials. Therefore, we only expect the best as far as design and material quality. With that, this item is made to be high quality and it is made from 100% really soft cotton. More so, the cotton is thick enough to create a barrier of protection to easily and effectively protect the headcover. To discuss cost and value, this product is of the best material quality design and individuals can expect from this brand with excellent customer service. The cover protects clubs very effectively and individuals will be happy to see the product’s design and overall value. For less than $20, the fact that you are protecting your clubs ensures maximum protection and saving hundreds of dollars In potential damage to your club due to scratching from not having any cover protection. Available in driver, wood, and hybrid. The pom pom fluff may fall out over time. This next product is an excellent quality product for individuals that want to safely protect their irons. This set of headcovers is expertly crafted so individuals can protect their items in the course of transit. With a comfortable and easy to place design, a neutral but stylish color choice, and this brands excellent customer service, this product is of the best quality. Here are two features of the Callaway Golf Iron Headcover set. This product is built to last, and the fabric design of this item is one of the highest qualities for multiple reasons. The fabric is designed to minimize any moisture build-up inside of the iron, which can rust or cause wear and tear. With that, the fabric is breathable, but also highly durable, leading to excellent protection during transit or when the product is being stored. This product has a great design for individuals that want to use it for both left-handed and right-handed irons. This overall design enhances the quality of the product alongside the flexibility in the way individuals use the product. With this, we recommend this item quality to anyone wanting a long lasting and comfortable to use design. This product is built by one of the best and leading brands in the golf community. The overall design includes a set of nine covers for the price. The great news is that currently the set is discounted, and individuals can get this quality set for a lower price. With that in mind, it has a durable design and even though it only comes in one color choice, it is well worth it. Fits both right- and left-handed irons. Breathable fabric built to last. Great to protect your irons when in transit. Can be small in size and needs to be stretched. As the next product from this brand on our list to consider, we want to share the Callaway Vintage Fairway Headcover and two quality features to consider of this unique headcover. Built to last and very high quality, this product is an attractive acrylic knit design that has a large and very soft toorie at the top. Here are two benefits. This product comes with the added benefit of having a long neck. The long neck design provides an extra shaft support benefit and protection. With this, the long neck allows for individuals to also protect the shaft and the larger head design is constructed to provide protection to many different sized club heads. This item is constructed with a much tighter weave than one would expect. The tighter weave provides and minimizes the stretching of the product and provides and maintains the original shape. The benefit of this is that it causes the sock to never stretch and wear and tear easily when being placed on or taken off. Long neck sock that provides extra shaft support. Protects the head and the shaft. Can be used on multiple clubs. Very tight on the driver. Can be hard to remove at first. The next headcover that we want to share is a quality product from this brand and is known as an epic headcover. 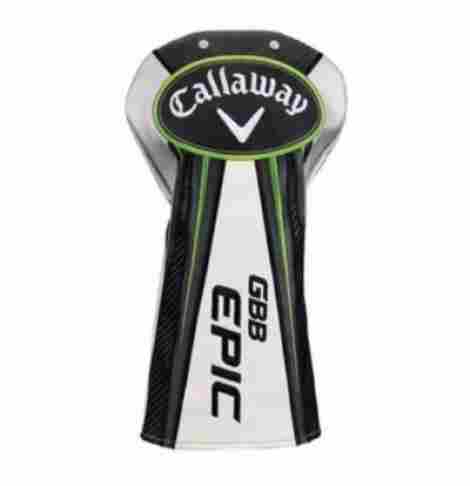 In fact, the actual name is the Callaway Great Big Bertha Epic Driver Headcover and you guessed it, it’s for your Big Bertha Drivers. As a quality green and black cover, it has many of the features that individuals appreciate from this brand. As we have come to expect from this brand, this product is of the best material quality design. This product is made to be highly durable, comfortable, and built to last. With that, individuals can expect to get their money's worth due to the material and can expect years of protection. The headcover does extend past the head and does protect a part of the shaft, fitting perfectly on the head of the driver. This brand is not only known for their quality products, but they are also known for their excellent customer service and this product is no different. This headcover is built to be very durable, high quality, and worth it if you want an expertly crafted product. Individuals also can get a return policy in the case that the product is not to their liking. To discuss cost and benefits for this product, we see this cover as a great addition to a set of golf clubs for any individual that wants a durable cover. With that, the product is built to last, very durable, and functional. More so, the cover is easy to place on the club and individuals can expect it to come packaged very well. For the price, it is worth considering. Easy to place on the club head. Protects a part of the shaft. Not as much protection as other covers. Built to last and of the best quality design, this next headcover goes to the traditional design that this brand is known for. 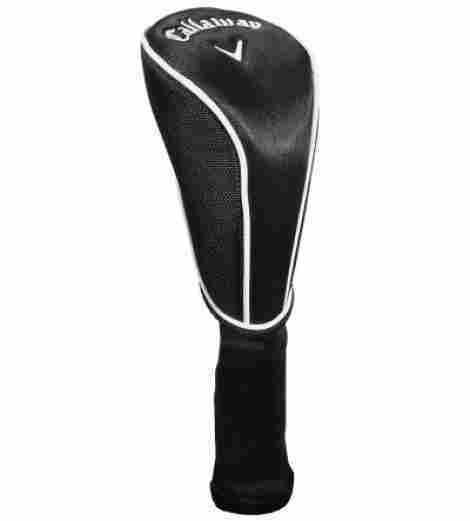 This product is known as the New Callaway Golf Generic Replacement Driver Headcover and we want to share two quality features of this unique product design. This item has a very tight sock-like fit that provides excellent levels of quality. The driver is durable and designed to be comfortable to fit on and remove, without getting overly stretched. With that, the product is designed for individuals that want a driver headcover that is all black and has a simple design to match their overall club color scheme. The material of this product is a durable synthetic blend of materials that are designed to be high quality and very durable. The material is durable and even has moisture wicking properties in the case it begins to rain outside. The shaft part is designed to protect the shaft and head connection to ensure no wear and tear occurs to the club when in transit. To discuss cost and value for this item, we see this headcover is a great addition to any set of clubs. Overall, the cover is built very well and individuals can expect it to be packaged very well as well. For the price, it is great to consider if you want a simple all-black design. The white lining around the cover only adds to the aesthetic appeal and overall value of the product. Protects the shaft and head connection. Tight to place on the head at first. These next headcovers are built for quality and built to last. If you are an individual that wants a full set of iron covers and wants premium quality, these are the covers to consider. With an all-black and red design, individuals can have a matching set of covers. Let’s talk about the two benefits of the Callaway Golf Premium Iron Head Covers and two aspects to consider. This item is built of a durable and high-quality synthetic leather. The leather is constructed for quality and built to last. With this in mind, the leather is stylish, soft to the touch, anti-scratch, but also firm and tight so it is easy to place on the head of the club without overly stretching it. One of the best benefits of this particular product is that it happens to be a full set of clubs. With this, individuals receive nine covers and the covers are all designed with the same color design to ensure a matching set. Overall, the stitching is also premium made and the overall value design is guaranteed to last. With that, individuals can protect their clubs on the course and during transit as well. Let’s discuss the cost and value for this set of covers. For the price, we recommend it if you want to protect your irons and you value their safety. With this, we can guarantee individuals a unique product design that is guaranteed to last and high quality. The overall design is a full set that is worth considering if you want to protect your clubs very well. Protects clubs easily on the course. May slip off randomly if not careful. Not as tight as other covers. This product is durable and strategically designed for putters. If you want a quality cover with a great design and a locking mechanism that guarantees the best fit, this is the cover to consider. We want to share with our audience the Callaway Golf 2018 Tempest III Putter Headcover and two features to consider of this product. The fit of this putter is one of the highest qualities and guaranteed-to-last fits in the industry. The reason being is that the secure putter fit includes a magnetic locking device to ensure that the cover stays locked in place. More so, the cover is designed in mallet style or blade style, so individuals have the option to choose. This product has a tour-inspired design that makes it appear extremely high quality. The tour inspired design is part of this brands dedication to producing a quality product that individuals can buy. The design is very simple black and white color design with red accents. Of course, the brand name is at the top as well. Designed to be of the best material design and value, individuals can expect a putter cover that is made to be high quality and minimizes wear and tear to the putter head. With that, the secure fit has a magnetic locking device built into it to guarantee an overall valuable design. Individuals can expect the price to be a bit more than a regular head cover, but it is well worth it. Has a magnetic lock design. Available for mallets or blades. 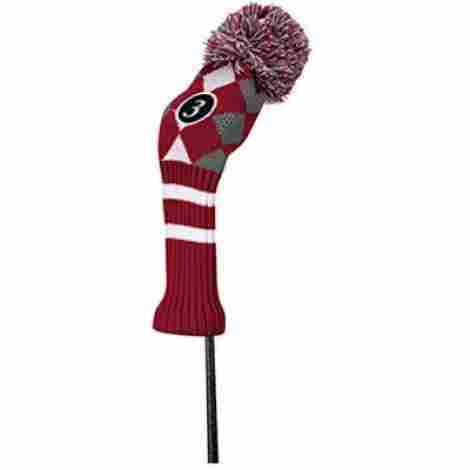 This next headcover on our list is an excellent addition to every golfer's collection. 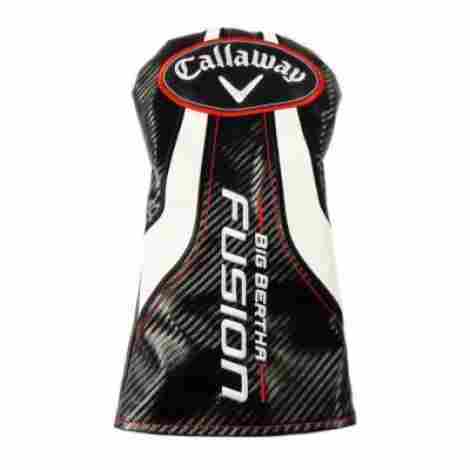 Designed for the Big Bertha, we want to share the Callaway Big Bertha Fusion Driver Golf Headcover and two benefits of this product that make it a great addition. This item is durable, has quality construction values, and the design makes it easy to clean if it gets dirty. This product has a synthetic leather construction that makes it highly durable. With that, the leather-like material is also more durable than knit sock materials and individuals can expect the leather-like construction to offer excellent protection. With this, the leather also enhances the overall durability of the product, creating a valuable and great design. This quality product happens to be very easy to clean because of the material design. Although the headcover is built to protect the head of a club, the cover’s material design and exterior smoothness make it easy to clean. So if it rains or it gets dirty in transit, individuals can clean it easily. This product is a great consideration for individuals that want a quality head cover that is built for quality and a great design. Overall, this cover is simple and has an aesthetically pleasing design that individuals will like. For the price, it is great to consider and the leather-like construction adds to the overall benefits of this product. Comfortable to put on headcover. Protects part of the shaft. This cover is our ninth product on our list and it happens to be a durable cover that is made to be durable to use and stylish. The cover is from the Rogue series and it is the new 2018 version. 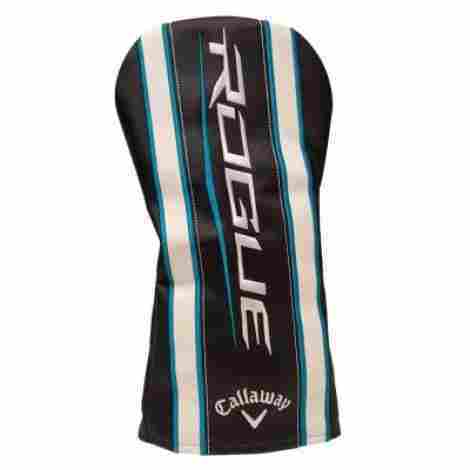 With a black, white, and blue color scheme, we want to share the Callaway Rogue Headcover and two quality benefits of this unique cover that individuals can expect. This particular product happens to have a very simple form-fitting design. The form-fitting construction fits perfectly on drivers and individuals can expect the product to cover the connection of the head and the shaft. With this, individuals can expect the product to offer great protection in all player bags and be great for travel purposes. The construction of this particular product happens to be a 100% polyurethane construction that ensures maximum coverage and durability. The construction is also very easy to clean and protects the club head very well in all sorts of environments. As the price and value for this item, we want to share that this product is very high quality and simple. Overall, the design is one of the easiest to place on the cover and the construction allows for a form-fitting design that looks great in any player bag. If you need to protect your drivers, this is the cover to do it with. Durable design that is built to last. May loose form after a long time of use. As the last cover on this list, this last one is a quality product made with a distinctive color choice, shaft protection, and out of a great and durable material. 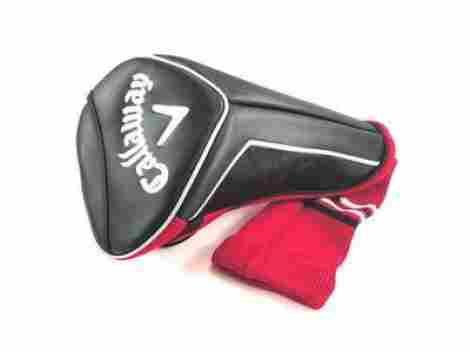 This cover is known as the Callaway RAZR X Black Driver Headcover and below are two features to consider about this excellent cover. This product is a great quality design that offers shaft protection. The protection is designed to offer excellent quality alongside durability so the overall shaft is well protected. If you want a quality cover that protects the shaft in a way that minimizes scratches and potential wear and tears to the connection of the shaft and the head, this is a great cover to get. The main aspect of the cover, the head, is actually designed from a synthetic leather material that has excellent stitching. This ensures maximum durability, quality design, and comfort when using the product. With this, we can guarantee this item to be of the best material design and guarantee excellent quality craftsmanship that will last. To discuss cost and value for this cover, we think it is a great addition to any set of clubs. With that, the overall cover is made of a great color design and individuals can expect the cover to function really well. The headcover is made to be durable and has a blend of synthetic leather and knit woven material that guarantees expert durability. Quality headcover made to last. Knit shaft protection area is made of quality. Now that we have talked about the top ten best headcovers from Callaway, we also recommend our audience check out the top ten best covers from TaylorMade. With this in mind, we want to mention to our audience that finding the best one is dependent on a couple of different important factors. When selecting a quality there are the essential steps in deciding the best. Ensure that the headcover is for the particular club you want to cover. Ensure that the sizing is correct. Make sure it can handle wear and tear. With that said, we also used a specialized criterion to pick out the top best products. This criterion helped us identify which of these covers were of the best quality design and what to look out for. So, let’s move forward and discuss the criteria to evaluate the best Callaway Headcovers. To start, it is important to note that most items that this brand produces are of the best material quality and design. In fact, many of the items from this brand happen to be high quality, multi-functional and designed to offer excellent value. With that said, we had to ensure that the headcovers we picked were expertly crafted from the same framework of many of their products. With such a wide variety of products to choose from, here are the different aspects that we took into consideration. The material quality was the first aspect to consider. After further research, we discovered that there are different materials when creating a headcover. Therefore, we wanted to ensure that each material was of the best value. Let’s discuss two of the most common materials below. Polyester is one of the most common materials that these covers are made out of. With that, it is common to see polyester used alongside other fibers or materials to ensure a quality material design. We also discovered that this material is also most common among the shaft area of the headcover and it is designed to provide protection to the club shaft. With that said, this material is one of the most common and has different features, which we will talk about in the next criteria. As the second most common criteria, synthetic leather is a common criterion that we discovered to be frequent among many headcovers. The reason being is that the essence, design, and overall value of leather looks more appealing aesthetically and happens to look more premium and feel more premium than any other material. With that said, leather is also very durable and has many different benefits to consider. These two are the most common materials that headcovers are made from. For now, let’s move onto another criterion that was crucial in selecting the top best products. As another criterion that we recommend our audience to take into consideration, features and benefits was an important factor. The reason being is that the features and benefits are the primary purpose of the cover and will determine how durable it is. Since leather and polyester are the two most common materials, we want to share with our audience the features and benefits of both. Polyester happens to be one of the best and most durable materials as far as features and benefits. The reason being is that polyester has many different properties. 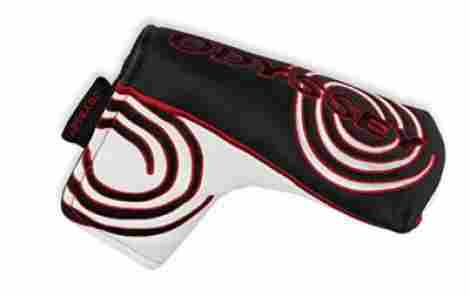 If you are considering a polyester headcover, then you can expect many different features. For instance, this kind of material can be machine washable, it is moisture wicking, it is also breathable so it causes no moisture build-up, and polyester has a stretchy design. Alongside this polyester can easily be placed on the cover and cushions the head cover very easily. However, polyester also has its downfalls. For instance, it can get snagged easily and potentially fall apart. It can get dirty quickly and collect dust. Over time, it may lose its elasticity and look more like a raggedy sock than a headcover. Leather is known as a more premium material but that it is because it is more durable and prone to wear and tear. First, leather can easily be cleaned and happens to have moisture wicking and water-resistant benefits. Alongside this, it does not collect dust as easily as polyester. With this in mind, leather is known as a premium material that has plenty of value to the individual. However, leather can also be very stiff and not as flexible as polyester. Therefore, there are all important aspects to consider. When picking out the right headcover for you, take into consideration the quality design of product alongside the material and features. Now, let’s talk about the last couple criteria that we found important when selecting the best headcovers. These aspects helped us determine which product to include. We wanted to ensure that each product on our list was of the best material quality and durability. Therefore, we focused on an aspect of criteria on the different reviews to consider and what individuals had to say about a specific product. We can say that for the items that have reviews on our list, they are all expertly reviews to have four stars and above. With that in mind, it is important to consider these elements when reading reviews about a specific product. Was it delivered on time? Is the quality well designed? Another aspect that we took into consideration was variety. The reason being is that variety helped us determine which products to add. We not only wanted to share headcovers made for durability. We wanted to share a wide variety of covers ranging from polyester to leather, to covers made for putters, drivers, and other clubs. With that, an important aspect of variety was also the color choice and overall design of the item. When picking out the best product for you, ensure that the cover is made for your particular club. As the last criteria to consider, the cost of the item is an important factor for various reasons. You want to primarily ensure that the product is worth it for you and the benefits. Alongside this, you want to make sure that the headcover is designed to be durable and of the best material quality. Now, it is important to consider that leather items will be more expensive than other materials and the newer the design, the costlier it will be. For example, a 2018 cover will be more costly than a 2015 cover. So, we hope our criteria has shed some light on the best headcovers to consider. Now, we want to move forward and answer some of the most frequently asked questions. Q: How does the headcover close? A: This is an excellent question and often asked, one of the most important. The closure of the headcover will be determined by the material and the design. Some headcovers have a Velcro closure, zipper closures, or some are simply an elastic closure that is designed to fit snug on the head of the club. Q: Is the headcover machine washable? A: Mow headcovers are machine washable. However, the POM headcovers are not recommended to be machine washed because the POM may come off in the washer. With this, leather covers are also not recommended to be machine washable. Q: Does the cover have shaft protection? A: Most covers do have a shaft protection design and are expertly crafted for individuals that want to protect the connection between the head and the shaft. With this in mind, it is important to acknowledge that the shaft protection does not protect the entire shaft, only a portion. Q: Will the cover moisten on the inside? A: Most covers are designed to be highly breathable. Therefore, individuals can expect them to not build moisture inside of the design.